You arrive at camp, several miles deep in remote wilderness, remove your pack from sore shoulders and begin sifting through gear. You prepare a meager freeze dried meal by boiling water and dumping it into a pouch full of what resembles styrofoam as darkness settles across the landscape. As you eat your "meat" and noodle mush, the thought of a soft mattress and a fluffy pillow crosses your mind. You are exhausted and faced with the harsh reality that you will be sleeping on the ground in the middle of nowhere. This is how you chose to spend your precious vacation time. Backcountry sleeping can be anything but comfortable, but with proper preparation, it can be bearable. 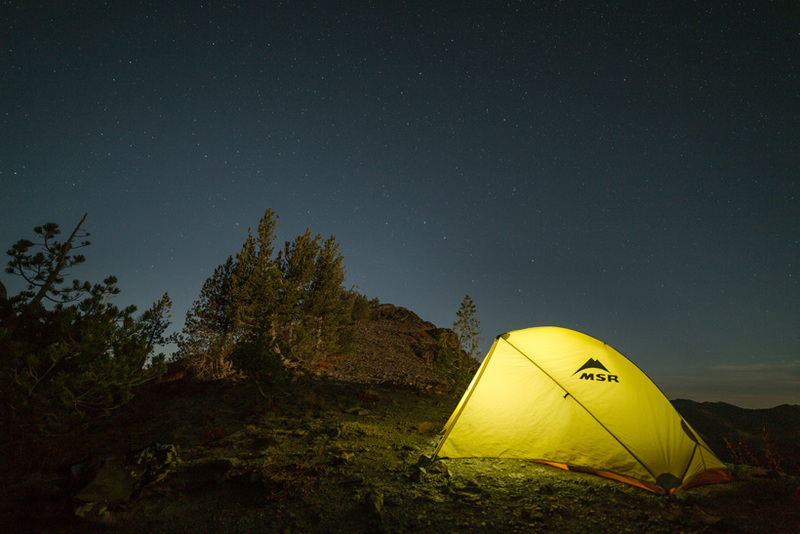 Here are a few rules to consider when planning an overnight stay deep in the wilderness. Selecting an appropriate location to bunk for the night can play a vital role in your sleeping comfort. Though they offer a commanding view, high peaks and open saddles are not ideal locations to sleep when a bout of wind or rough storm roll in. I like to find a small grove of trees for my backcountry sleeping quarters, ideally on the leeward side of a ridge. A downed tree or rock outcropping can serve as a windbreak in a pinch. Level ground is ideal, but not always feasible when hunting high country. A flat spot can be dug out of a sidehill, preferably above a tree as a backstop. When bedding in variable terrain, position your feet downhill to prevent a rush of blood to the head. Clear the area of abrasive debris, but leave dry foliage such as pine needles and duff, which can help soften and insulate the ground beneath you. If you are bedding on a slope and there is a possibility of precipitation, dig a trench uphill from your bed that redirects runoff around you. Take time to find the best location available before lying down for the night. The old boy scout motto holds true on most backpacking endeavors. Being prepared for sleeping in various conditions is not an exception. Your sleeping gear must be matched for the season and weather conditions in the area that you plan to hunt. In high country, even in late summer, thunderstorms can descend upon you in an instant, leaving those without some form of shelter in for a long night. For this reason, many backcountry hunters opt to carry a tent even in fair weather. 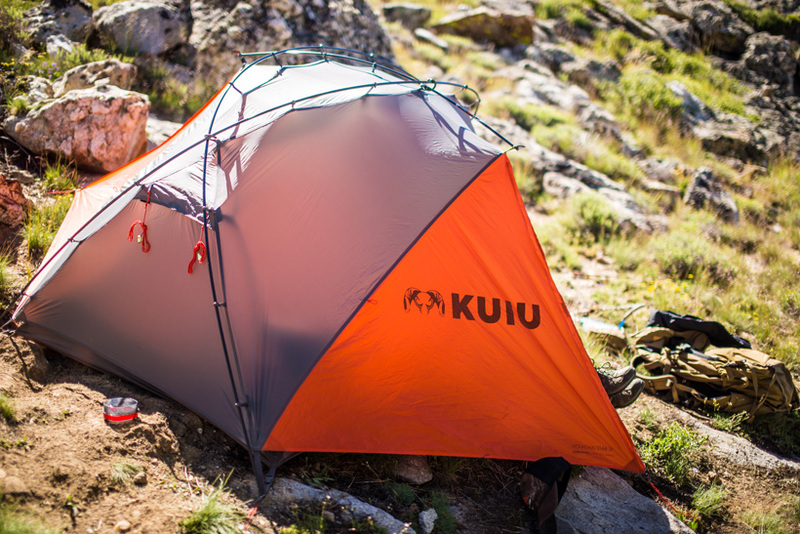 Tents also provide a barrier from insects and a sense of security, though a thin layer of nylon is no match for a curious bear or other predator. 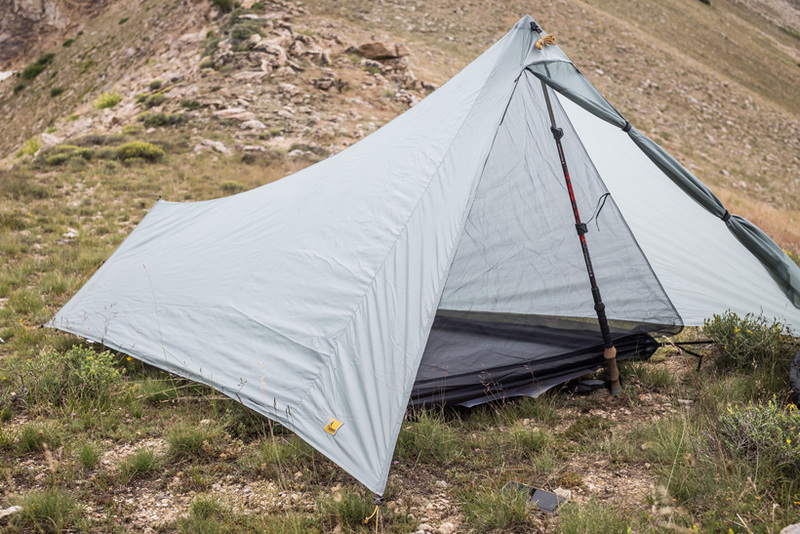 For the minimalist, a lightweight tarp or bivy can provide shelter from rain and light snow. A quality sleeping bag and pad are necessities. I have carried a simple bivy for years. 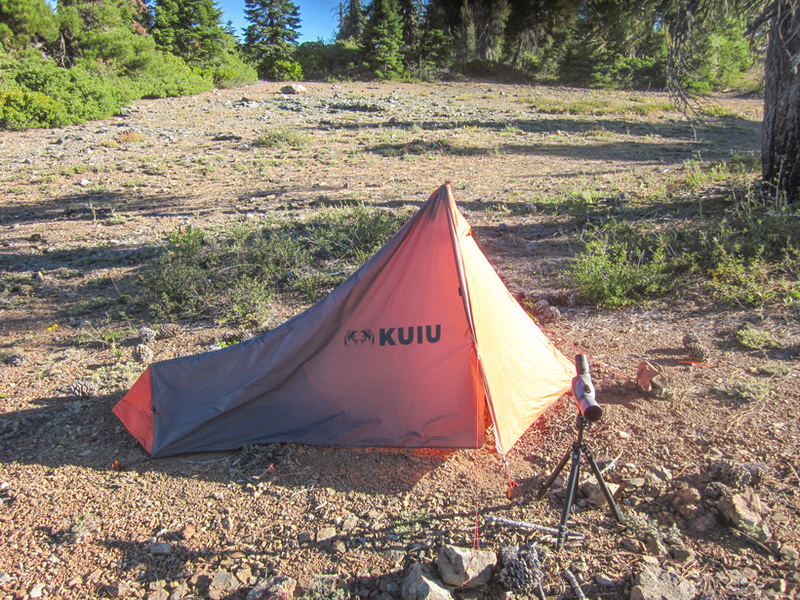 Weighing in near a pound, I carried this lightweight minimalist shelter until I discovered KUIU’s Ultra Star 1P tent. At only 17 oz, the Ultra Star 1P rivals the weight of a bivy, but provides enough room to sit up, a vestibule to protect my gear and protection from insects. Whether you choose a tarp, bivy, or a tent, it is important to bring some form of shelter and be prepared for the unexpected. Remember that all of your sleeping gear is carried on your back until you reach your destination. A flannel lined canvas bag and memory foam pad have no place up here. 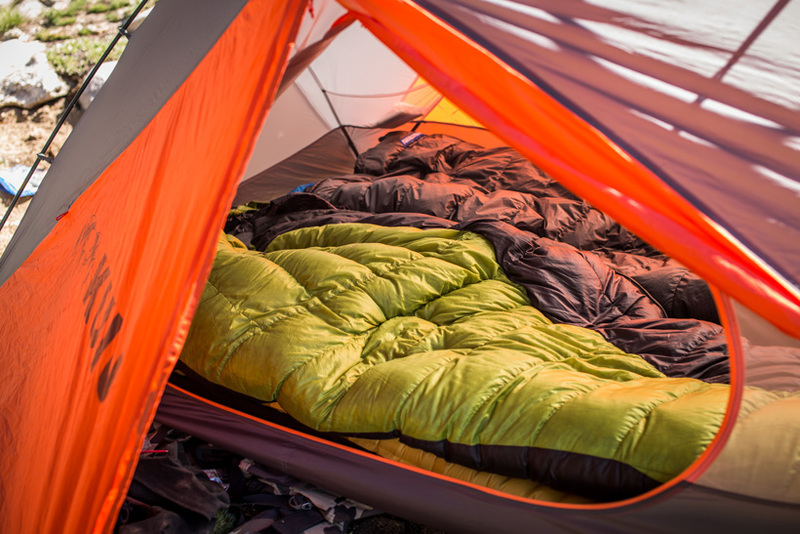 Ultra light sleeping gear comes at a premium, but pounds not carried are worth their weight in gold. There are two viable options for sleeping bags: synthetic and down. Synthetic insulated bags do not lose loft as easily and typically maintain warmth better when wet compared to down. Adversely, synthetic insulation is heavier and does not compress as well. Down insulated bags boast a better warmth-to-weight ratio and take up less volume in your pack. Down bags are also more expensive and are less effective when wet. There are treated down bags available, such as Quixdown by KUIU, that maintain loft even when saturated. Choose the best bag that you can afford in the temperature range that you expect to encounter. A sleeping pad provides comfort, but more importantly it serves as an insulating barrier between you and the frigid ground. 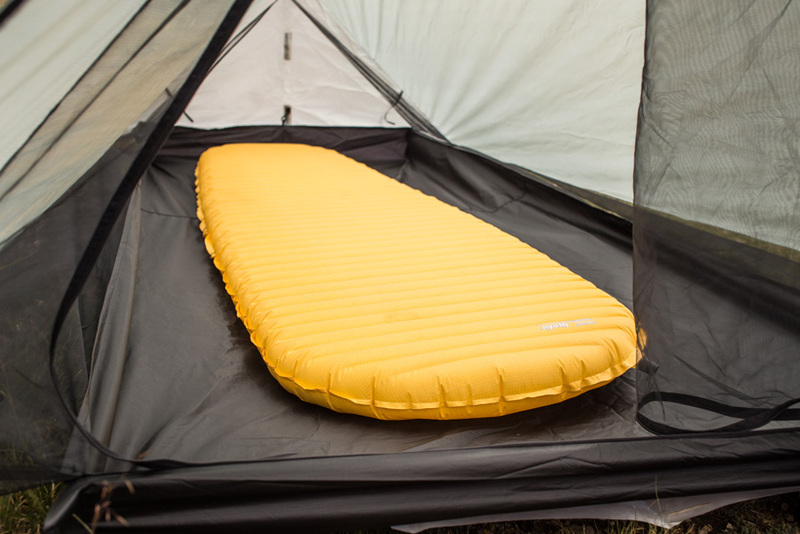 There are numerous lightweight options for sleeping pads. Inflatable pads offer more comfort and take up less room in your pack, but are susceptible to punctures. After patching mine numerous times and waking up on a flat air mattress with a rock jabbing into my back, I switched back to foam. Lightweight foam pads such as the Therm-a-rest Z-Lite provide sufficient insulation and enough cushion for the minimalist. 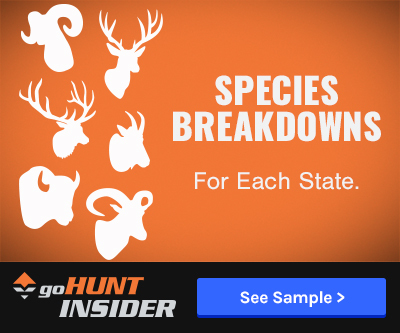 Coming in at less than one third the cost of most inflatables, it is a viable option for the backcountry hunter on a budget. It will not pop and does not have to be blown up. Whether you choose an inflatable or foam pad, do not skip this crucial piece of equipment. Most only weigh a pound or less. Hunting deep in the backcountry is physically demanding, but is equally a test of mental fortitude. Physical training and the right equipment is important, but it is all for naught without the proper mentality. Sleeping on the ground in adverse conditions with a wadded up jacket for a pillow will never be as comfortable as your bed at home. Add sore muscles, carpenter ants, uneven terrain and a dash of foul weather and the fickle sleeper is in for a long night. When embarking on a multi-day hunt in the backcountry, a certain level of discomfort must be expected. Prepare your mind for adversity and embrace it. Hunt hard and a jagged slab of granite can feel like a pillow top mattress. Sleeping in the backcountry will never be as comfortable as a night in the Four Seasons, but with proper planning and the right equipment, it can be bearable. 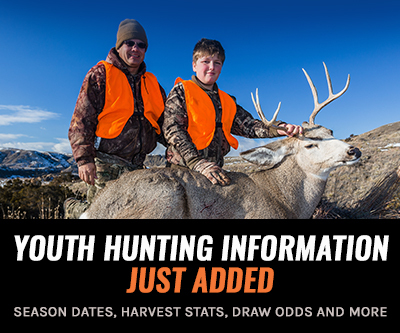 It is a necessary skill to master for those wanting to take a trophy off the beaten path. We would love to hear about your experiences sleeping deep in the wilderness. What have you found that works best for you? Just a thought, but ear plugs are a must have for me! It drowns out the noise and allows me to sleep peacefully. Maybe not the safest if you're in heavy bear country, but I never leave home without them. Especially with your hunting in a group, where others tend to snore loudly. Great article Luke. I couldn't agree more with you that staying comfortable in the backcountry is incredibly important. I've spent a lot of years being miserable until I decided to spend the cash to make myself feel better in the backcountry. For the moment, I use an inflatable and haven't yet had a problem with them getting punctured, but I'm sure it's just a matter of time. Inflatables are heavier but I've found I can save some weight by getting the smallest size possible since I'm only 5'8". No need for a regular when a XS will work just fine and save me the weight. I'm a fan of down and will always be. Weight counts! My cousin and I use hammocks. Get up off the ground. Comfortable, light, easy setup and takedown. They work awesome for us! Great write up Luke and great suggestions on the gear! I have yet to get the opportunity to hunt the back country but it is in each and every one of my dreams !